Make something special for someone you love, a beautiful hand or foot plaque. Casting your little hands for a forever keep sake is a wonderful gift of love. Creative Kids is a craft workshop for under 5’s and their carers. A fun session with song, themed snacks and everyone can take home a beautiful craft they made during the session. This month we will be in a temporary venue due to the Gallery refurbishment. PLEASE NOTE VENUE WILL BE: LE DELICE COMMUNITY ROOM, LLOYD PARK, LONDON E17 5SQ. 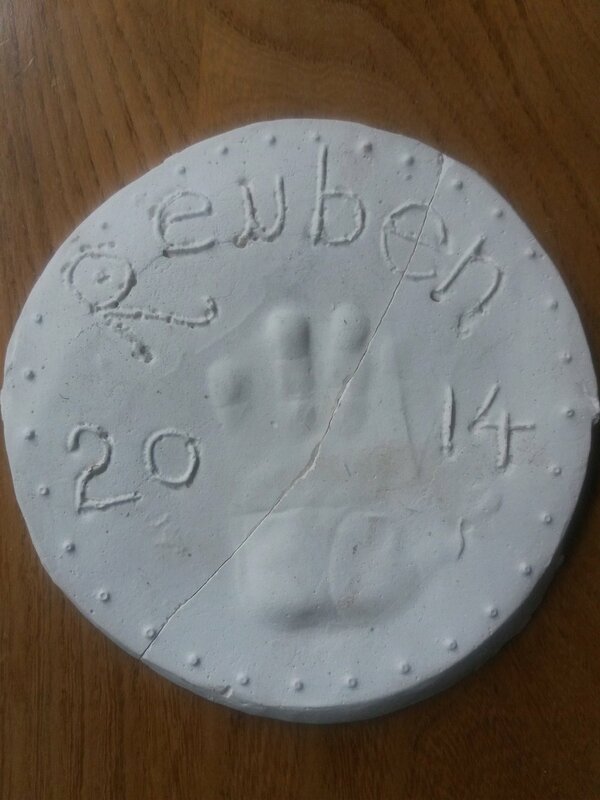 See a cast made of a little friend who came to Creative Kids in 2014.